Ironically enough one of my catch phrases in life is “no worries”, which, my Nana told me if you add a “mate” on the end, I’d be pure Australian. I say it all the time to people when they bump into me, if they apologize for something, or if they are nervous. I say it to everyone in my life, but never to myself. You see, I am a planner by nature and a worrier by nurture. The women in my family have quite the knack for being “worry warts.” Will the plane be on time, did my letter get there, did I pay that bill, and what am I forgetting that I’m supposed to be doing right now. So truly, I come by my worrying honestly. Recently, however, I feel like I am being challenged to let go a bit. In the last week alone I thought I’d lost a package I sent of Meredith shirts to a t-shirt quilt maker, a pearl earring from my set that my Nana and Papi got me, and a key card to my apartment complex that would require a $50 replacement. All week long my mind has been racing with worst case scenarios for each problem and yet my t-shirts arrived safely, my pearl earring was miraculously found, and my key card was buried in my laundry bag. So what did all that worrying get me? A headache. In normal life I’d argue that my anxiety is masked fairly well. Normal me would not be kept awake by previously listed issues, and normal me would have decided that even those worst case scenarios are not truly the WORST. There is, sadly, nothing normal about the me I am dealing with now. Any sense of normality I’ve had has been punched in the face by a giant metaphorical kangaroo carrying a “you’re going to Australia sign.” I’m a mess! Well, ok, in actuality I’m handling it all fairly well (a good thing considering I’m still 6 months away from departure). But I keep having these moments of complete panic. Granted, these moments are typically prompted by some roadblock that’s suddenly appeared, and maybe a non-worrier could take it in stride, but not this girl. When I see an obstacle, I need to conquer in RIGHT NOW, or melt into a puddle of woes. And while I have this get it done personality, sadly the Aussies don’t seem to share my sense of urgency. For example, for the last 4 weeks I have been carefully collecting every document I will need for my application to Victoria University in Melbourne. I’ve contacted all my schools for transcripts, dug out my passport, found my GRE scores, and even written out my research proposal, all in preparation for the August 1st start of the application period. I log on, type in my information, create a student account and go to the submission page and then….ROADBLOCK. The form I need to fill out isn’t available. Imagine my distress. Ok, now add the whole puddle of woes me and you have a pretty clear picture of my sudden emotional state. After a few email exchanges with my boss and the university I came to find out their system is in limbo as they are adding some components to the international student application (lucky me). In spite of late night skype calls (well, late night here, lunchtime there), and several emails, I am still waiting for the application to be up and ready. The whole thing feels like a “hurry up and wait” situation. In my ideal world, I’d have my acceptance letter from the university in hand as I hit the purchase button for my one-way ticket to Australia. Worrier Mary likes for all her ducks to be in a row before making big decisions. Unfortunately, this is not the ideal world, it is simply the real world, and in this world if I wait 2-3 months to purchase a flight to Australia I will literally be selling my car SOLELY to pay for my flight over. So here I am on my computer searching for my ticket to adventure. I’ve found several options and the price, though the most expensive ticket I’ve ever bought, doesn’t seem outrageous, and yet I can’t bring myself to hit the “confirm purchase” button. It seems so final. And yes, it is final. 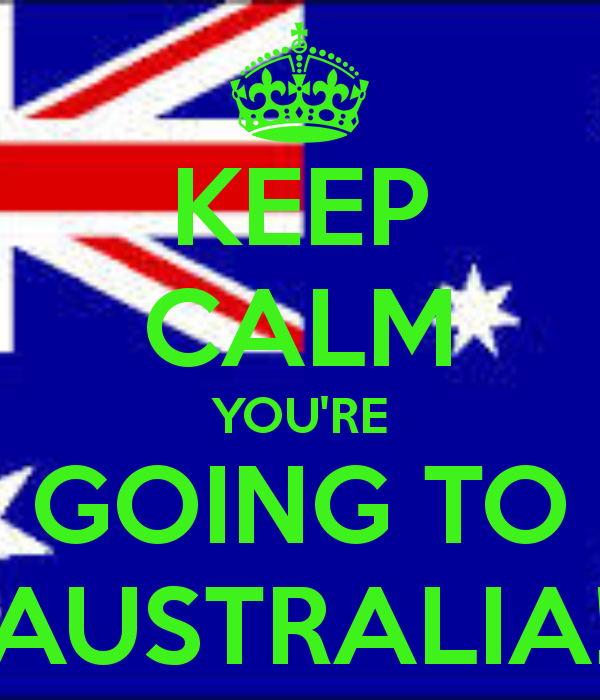 I AM indeed going to Australia…but right now it’s just a thought. A known confirmed thought, but a thought nonetheless. Purchasing a flight there makes it real. There will be paper proof evidence supporting the fact that this time next year, I will be 10,000 miles away. Now that is something to worry about! ….or is it? Purchasing a ticket only reinforces a future I already know to be coming…A future I am incredibly excited about. And yet, I am a worrier, and I likely always will be. So maybe instead of trying to NOT worry (akin to “ok Mary try NOT to breathe”), I should just try to take more action. I should be a leap of faith worrier. I warily (worryingly) leap into the unknown. I may panic until I find my solid footing, but at least I took the leap. Worrying is a perfectly natural response to the unknown, but rather than letting it freeze you, let it drive you forward. Let’s all work on being leaping worriers. Let your worries become your goals. And if you ever need reassurance that you can do it, I’m right here. No worries, mate. Alright ladies, this post goes out to you. There are way too many misconceptions about women and weights, and I am here to set the record straight! The honest truth is women need to lift more. We need to lift more weight and we need to lift it more times. I think the biggest hurdle to this task is that there is this belief floating around that if we lift anything heavier than those cute pink 5lb dumbbells that our muscles will suddenly explode into manly bicep bulges. Ladies, I can promise you that not matter how much you lift, no matter how perfect your nutritional timing and no matter how many gym trips per week you make, you will NEVER naturally attain that manly physique. Our bodies are simply not built in a fashion that supports that kind of muscular definition. Short of artificially pumping in some testosterone, we simply, hormonally and physically, are not capable of packing on the pounds (of muscle anyway). And yet, that is still a fear. I can’t tell you how many women upon hearing me say lift heavier respond “I don’t want big muscles, I just want to be toned.” When I hear you say that I cringe a little bit. When you say I want to be toned, what you are really saying in the exercise world is “I want to lift heavy,” because the sad truth of it is, no matter how many times you can lift those little weights, they just won’t change your muscle definition. But why? Our bodies work on the principle of efficiency. We strive for an equilibrium in our life the way our body strives for it in its daily function. If you sit around all day, your body will start burning fewer calories because it doesn’t NEED as many calories for inactivity. If you start lifting 5lbs a day for bicep curls, your body will adapt to that 5lbs until it feels easy. Whatever challenge you place before it, your body will respond accordingly, so why not REALLY challenge it? Let’s go back to this muscle building thing. The way to build muscle is to overload it. If you only do workloads that you know you can do with ease, your muscles don’t NEED to grow. If you are told you NEED to run a mile, are you really going to run two? Probably not. Your body is the same way. So challenge it. If you can lift 5lbs twenty times, I bet you can lift 8lbs ten times, and ten pounds at least once. Your weight lifting goals should be to barely be able to finish 8-10 repetitions of lifting a weight (and do that 2-3 times). Work off the principle that the weights you lift should at LEAST be heavier than your purse. That’s right big purse carriers, I’m calling you out. If you walk around with a mini suitcase on your arm all day, and then pop into the gym for some light weights, you are actually getting less of a workout at the gym than you did all day! If the average purse weighs between 5 and 10lbs, that means you’ve got to exceed that weight at the gym. Before you ask, yes I’ve read the articles that say to be toned you lift less weight more times and to build muscle you lift more weight less times. They are wrong because being tone and building muscle are the same thing. You should ALWAYS lift more weight. It’s good for your muscles to be challenged and it’s good for your bones. Building more muscle helps stabilize your joints and protect you from falls and injuries, especially later on in life. Have I convinced you yet? We need to fight the stereotype that those cute little 1-5lbs weights are for the ladies. I love the look on a guy’s face when I reach around him to grab the 20lb dumbbells, and trust me, you’ll love it too. So if you found a happy place with what weight you like for each exercise, I challenge you to move on up. Grab the next level and sacrifice a few of those repetitions for a really good muscle burn. Oh yeah, and that soreness is a GOOD sign. When you lift heavy, you are quite literally tearing up your muscle so it is forced to rebuild stronger and better. So that lovely soreness you feel the day after is just a sign of a job well done. So break the mold ladies and lift heavy. Challenge your body and yourself, and I guarantee you’ll love the results. Too often we measure our achievements, value and worth based on benchmarks set by the people around us. We see someone else passing a test, getting married and having kids and assume that our lack of those benchmarks make us failures. 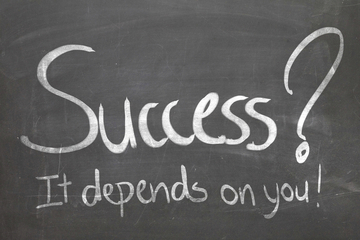 Your success should be defined by how you define it. There’s no prescription for a perfect life, and yet far too often we offer other people the answers to their life problems. With the best of intentions, we push our ideals and expectations into other people’s lives in an effort to help them reach their goals, not realizing that we are actually pushing them farther away. We need to not be afraid to break the mold. We need to not be afraid to redefine what we consider success. Most importantly, we need to not be afraid to be proud of those achievements. Far too often we minimize goals because, in comparison, they seem to be “less than” those of the people around us. Why should that matter? If my next goal is to be able to do 10 pullups, it doesn’t matter if Jill next door can do 20 and Jack down the road can do 100. MY goal is 10. And I will be incredibly proud of myself when I reach that goal. And you will probably hear about it in great detail. Confidence is the key. Without confidence, your chances of success are minimal. You don’t gain confidence by reaching for the unattainable goals. Success breeds success, so set a small goal and build on it. In a previous post I discussed the three goals concept (http://wp.me/p4ecwV-A) . You want to always have three goals; a safety, a challenge, and a dream. One goal that you know you will hit, one that you can probably reach, but it will be challenging, and then the ideal dream goal. In this way, you redefine your standard of achievement and literally set yourself up for success. Lift yourself up and watch others follow. If you want to help someone, just support them. Support their goals for themselves and don’t compare them to yours. You can be your own biggest hurdle, but you can also be your own greatest source of strength. Don’t stand in your own way and never stand in someone else’s.